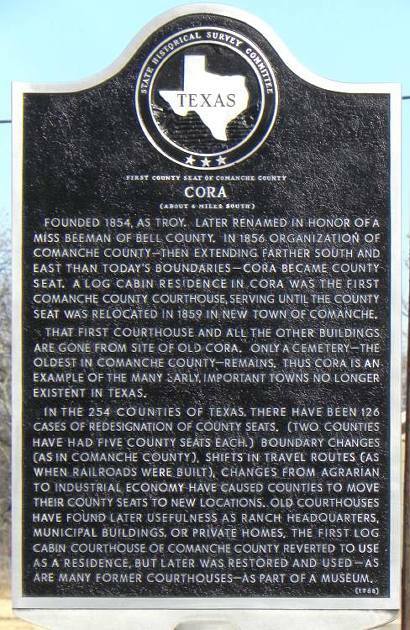 Cora, Texas, first Comanche County seat, and Old Cora Courthouse. Comanche County was organized in 1856 and the following year 80 acres overlooking the river were donated to be the seat of government. Initially the name of Troy was submitted for a post office, but Bell County had beat them to the name. Miss Cora Beeman of Bell County became the namesake of the village, being nominated for the honor by Thomas C. Frost, Comanche County land agent. Her name was accepted and in 1857 Cora, Texas was officially included on maps. Shortly thereafter Hamilton County acquired some land from Comanche County, redistributing Comanche County�s acreage and putting Cora far from the geographic center of the county. Comanche was created, and officially became the county seat in 1859. Meanwhile, back at Cora, the double whammy of Indian misbehavior and loss of county seat status left the village with only 136 people for the 1860 census. Cora�s post office closed its doors in 1867 and by 1900 nothing was left but a cemetery. 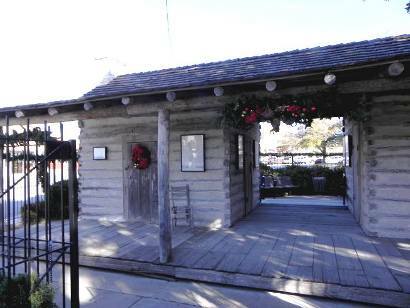 A replica of Cora�s log courthouse is now a part of the Comanche square. Founded 1854, as Troy. Later renamed in honor of a Miss Beeman of Bell County. 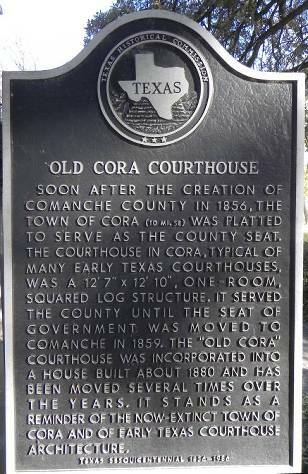 In 1856 organization of Comanche County--then extending farther south and east than today's boundaries--Cora became county seat. 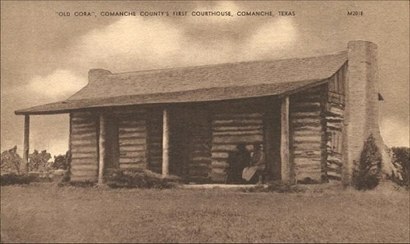 A log cabin residence in Cora was the first Comanche County courthouse, serving until the county seat was relocated in 1859 in new town of Comanche. That first courthouse and all the other buildings are gone from site of Old Cora. Only a cemetery--the oldest in Comanche County--remains. Thus Cora is an example of the many early, important towns no longer existent in Texas. In the 254 counties of Texas, there have been 126 cases of redesignation of county seats. (Two counties have had five county seats each.) Boundary changes (as in Comanche County), shifts in travel routes (as when railroads were built), changes from agrarian to industrial economy have caused counties to move their county seats to new locations. 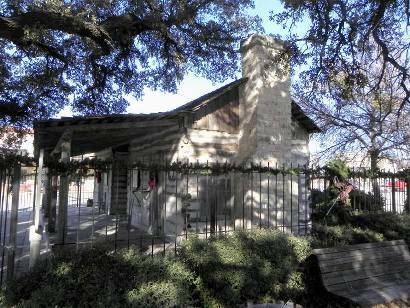 Old courthouses have found later usefulness as ranch headquarters, municipal buildings, or private homes. 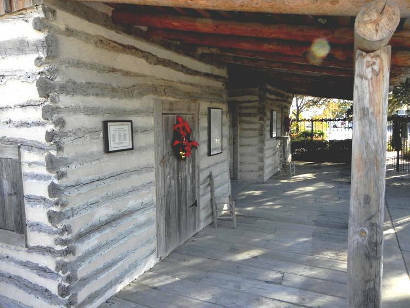 The first log cabin courthouse of Comanche County reverted to use as a residence, but later was restored and used--as are many former courthouses--as part of a museum. Soon after the creation of Comanche County in 1856, the town of Cora (10 mi. SE) was platted to serve as the county seat. 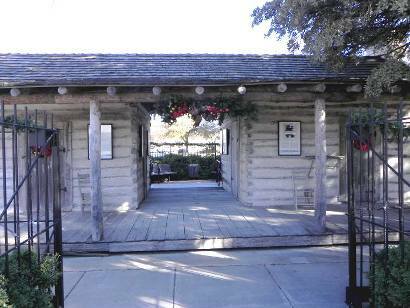 The courthouse in Cora, typical of many early Texas courthouses, was a 12' 7" x 12" 10", one-room, squared log structure. It served the county until the seat of government was moved to Comanche in 1859. 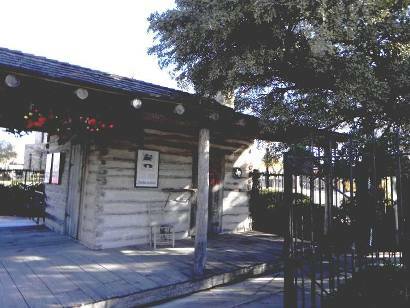 The "Old Cora" Courthouse was incorporated into a house built about 1880 and has been moved several times over the years. It stands as a reminder of the now-extinct town of Cora and of early Texas courthouse architecture. More views of "Old Cora"